Shepard Fairey created a new Bob Marley print for an upcoming show by British-based artist Dennis Morris titled, Bob Marley: Giant at Known Gallery. 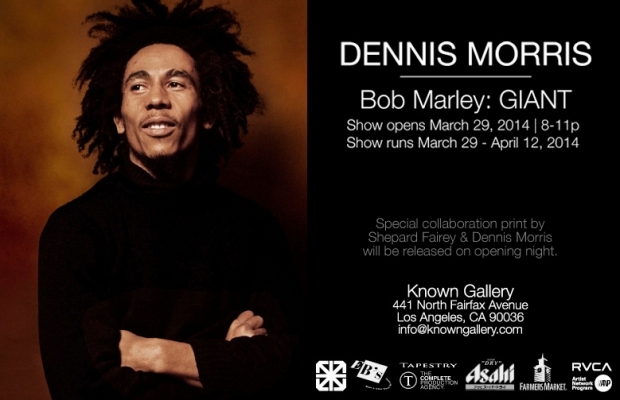 The exhibition consists of 28 intimate portraits and live shots of Bob Marley in black and white and color taken by Dennis Morris. It opens this Saturday, March 29th from 8 – 11pm. The print that Fairey created is an 18″ x 24″ Screenprint, signed/numbered (by both artists) edition of 450, and cost $80. Available at the night of the show. Online sale on Tuesday, April 1st at a random time between 9 – 10am PDT HERE. 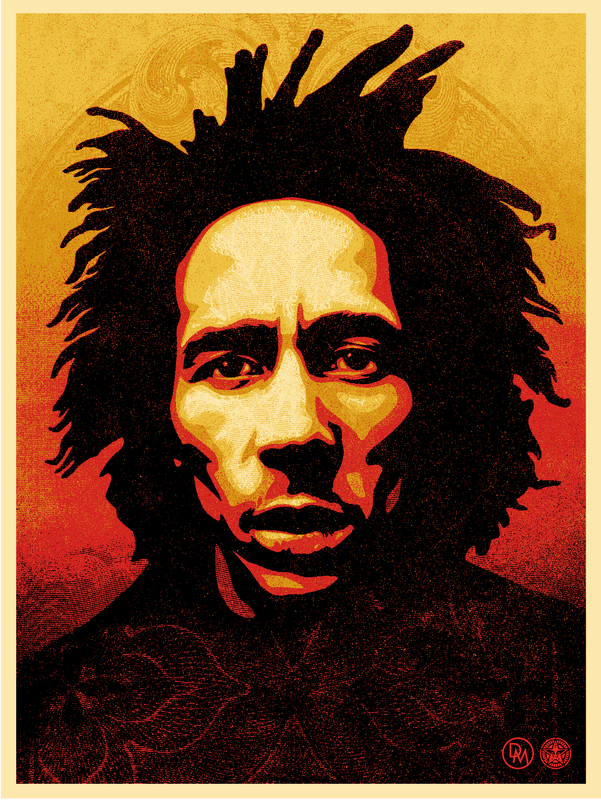 This entry was posted in Art Prints and tagged Bob Marley, Shepard Fairey by admin. Bookmark the permalink.